Apple's iTunes store has been used as for money-laundering, with the Met's e-crime unit in conjunction with the FBI arresting 10 people across the UK. A gang is alleged to have produced several songs which were then bought thousands of times through the iTunes store and another online music seller. Around $750,000 (c£470k) was spent on the tracks from stolen US credit card numbers – with royalties of around $300,000 pulled back in by the criminals. 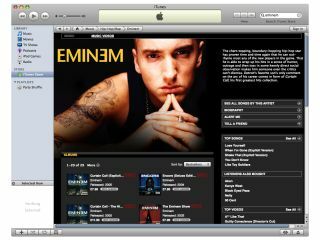 "It was established that between September 2008 and January 2009 a UK criminal network provided music via an online US company who uploaded the tracks to Apple iTunes and Amazon.com for sale," it said. "This is a significant case for the e-crime unit, which was set up 12 months ago. "The unit has been set up to provide a point of expertise and a national and international response to online crime. "The nature of online crime means the unit are actively developing cross-border partnerships both with other international crime agencies and businesses." The ten people, comprising seven men and two women, are based in London, Kent, Wolverhampton and Birmingham.